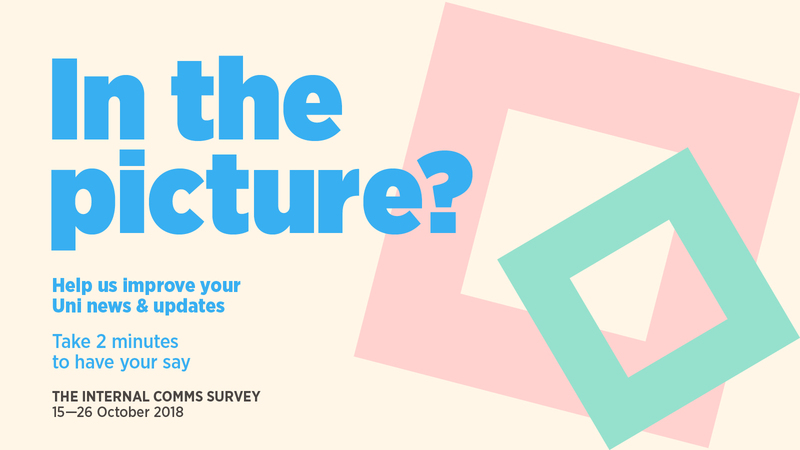 This is your chance to tell us how University news and updates work for you – how do you prefer to hear the latest news? Is the mix of information provided right for you? We want to get you the news you want, in the way you’d like it. The survey should take less than three minutes to complete and is completely anonymous. It’s open until Friday 26 October and will be followed by a series of focus groups which you can volunteer to take part in. We’ll share the findings and what we plan to do once all the results are in. If you’ve got any questions, drop us an email at comms@bath.ac.uk or call us on ext 6069.